One of the central tenets of 'Natural Beekeeping' is allowing bees to build their comb without undue influence from us humans. What is that influence? There are probably a few we could include, such as the imposition of frames in their nest, the dimensions of the hive, etc. But the primary way, one in which a keeper definitely has a choice - is in the use of comb foundation. That is, providing an embossed sheet of beeswax (or plastic!) which is mounted in the frame before installing that in the hive. The bees then build their combs, cell by cell on top of that foundation. It becomes the central 'midrib' joining two combs of cells, back to back. 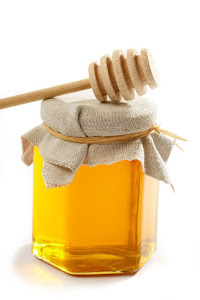 There are a number of reasons why this is advantageous for commercial beekeepers. It forms the backbone of a whole honey harvesting system which starts with wiring foundation into frames and ends with those frames being spun in centrifuges to extract the honey, before sending them back to the hive for reuse by the bees. Recycling! Sounds like a really 'green' idea! There are all sorts of angles we could take on discussing this idea - I'll save some for another day! For now, let's stick with the topic of 'cell size'. A sheet of foundation, by design, is embossed with thousands of hexagonal cell shapes of uniform size (diameter). 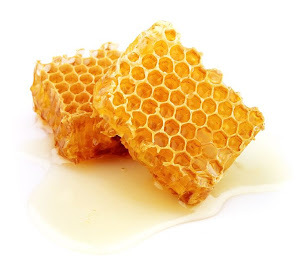 The problem with that is bees do not naturally build uniform sized cells across their combs. We know this from even a quick look at comb from 'wild/feral' colonies or from free built comb. They build larger cells for storing honey and pollen at the top and smaller cells (of varying size) for the raising of worker bees and significantly larger cells to breed drone (male) bees. Of course it makes sense to manufacture foundation with uniformly sized cells, otherwise it would be too complicated and expensive. But is that good for the bees or the colony as a whole? What are the implications or impacts for their well-being? The stock response is that the bees will, when raising drones, find a way to work around the foundation and make their big cells anyway. True, but is that natural and what happens to the cells of worker bees? Worker bee cells usually retain that uniform foundation size because working against the pattern is too much trouble. 'So what' if the cells are all the same size? Again, studying natural, wild colonies shows that bees vary the size of their worker cell 'brood' comb depending on many variables such as the configuration of the nest hollow, season, availability of food, temperature etc. etc. This allows the colony to breed in response to their environment and other needs. It's also true that diversity creates greater resilience. Forcing bees to be one size works against that. 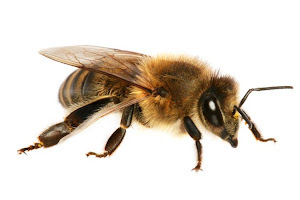 If bees vary the sizes of their cells, what size was selected for use on the foundation? Sizes of foundation based cells vary depending on the manufacturer and a notional 'average', but they tend towards 5.3 to 5.7 mm, at the higher end of bee size range. I've just measured some I have bought here in Vic and it's 5.7mm - very large. What is the normal wild bee range? Around the 4.6-5.1 mm mark. So why design in bigger cells and bigger bees? Productivity. Bigger bees mean more nectar collection per bee. More colection means more honey yield. So, do smaller cells mean 'better bees' in some way? There's no simple answer to that and it does depend on how you look at the issue. There are a number of studies taking place and lots of prior studies and anecdotal evidence to support both 'yes' and 'no'. But just ask yourself, if it's not natural for the bee, then is it likely to be good for it in the long run? Where 'small cell beekeeping' is being tested and scrutinised most closely (often by amateur beeks, it seems) is in Europe and USA, where the varroa mite is decimating bee colonies. The very simply put premise goes like this. Larger cells mean larger bee 'babies' - larger bee babies take a day or two longer to turn into adult bees. These longer times suit the breeding cycle of the varroa mite, which means more mites and more stress on the bees. Again, this is not proven, but those folks testing Natural Beekeeping methods, involving allowing the bees to build their own comb, in more bee-friendly top bar hives, are anecdotally reporting an increased colony survival rate. It is this upsurge of interest in combating varroa (as well as CCD) which is driving much of the interest and growth in Natural Beekeeping. We in Australia are the last honey producing place in the world to NOT have varroa land on our shores. When it arrives (as it seems it must - after all, even the clean and green NZ fell prey), then we should be prepared and have a few tools in our kit which allow us to respond. Knocking foundation on the head is one such option. There are other reasons to resist the use of foundation - especially for small scale beekeepers - more on that another time. And we didn't even mention the use of plastic comb and plastic frames yet . . .
Read David Heaf's article on Natural Cell Size.